Over the last years, there has been an intense debate regarding the identity of feta cheese, and under which circumstances such a cheese, which has historical ties to ancient Greece, can be distinguished from all the similar ones. 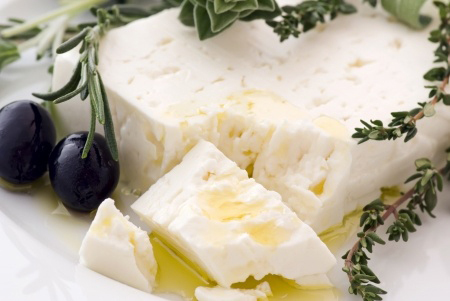 According to a new innovative research from the Institute of Proteomics Research Unit, based in “trofometria”, it was found that Greek PDO Feta from all parts of Greece contains a total of 489 different proteins, making it one of the world’s most protein-rich cheeses. Only the feta cheese samples/types from specific Geographical areas of Greece, such as Epirus, Macedonia and Peloponnese, entitled to produce this “protected designation of origin” (PDO) feta cheeses. The specific technology and know-how of “trofometria” makes the Proteomics Research Unit unique in the Balkans and Southeastern Europe in the adjustment of molecular traceability. This analysis sets the foundation towards a control procedure of the core elements of feta cheese. In addition to demonstrating the high nutritional value of Greek PDO Feta a new method has been developed for the traceability of the milk used, the determination of the existence of fraud, its separation from similar products and, finally, the identification of feta’s origin as an exclusively Greek designation of origin. Over and above to its superior taste, those 489 proteins are the identity of Greek feta cheese and make it one of the world’s most protein-rich cheeses, based on its unique characteristics. Among other things, in 489 proteins, there are some that are related both to immune system regulation and to antimicrobial activity, as well as to the control of the microbial of the gut. Also, in the Greek PDO Feta some of the proteins are associated with the regular function of the nervous system, blood pressure regulation and others for an orderly cholesterol and metabolism. Furthermore, in PDO Feta, there are many vitamins such as vitamin D responsible for bone calcium transport and vitamin B12 responsible for the transport and uptake of iron. Previous OREGANO:ONE OF THE MOST FLAVORFUL HERBS﻿, WORLDWIDE!